Jamile Nogueira began music lessons at age 3. She was taught the Italian Methodology (Solfege), and graduated in 1984 in Piano Performance, Theory and Harmony. In 1990, Mrs. Jami received her B.A. in Piano Performance from Catholic University. In 1998, a M.A. in Music from F.A.U., and a Teaching Certificate from the Center for Music and Young Children, Princeton, N.J. She is in the Honor Roll of the American College of Musician since 1998 and is part of the Guild's Board of Judges. 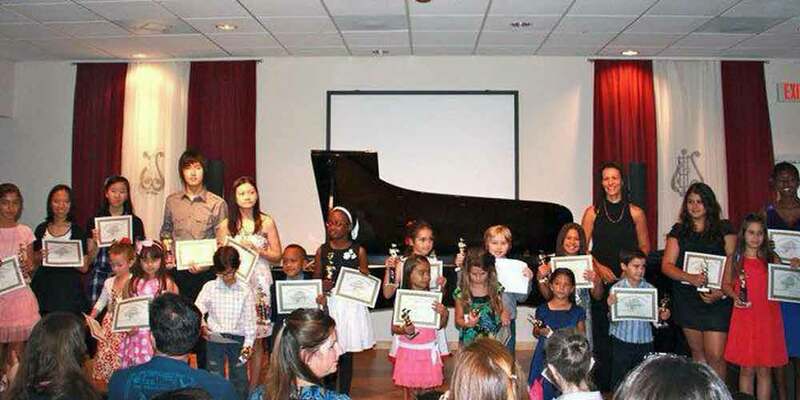 Some of her students have attained high prizes in piano competitions and non competitive events. She presents the Musicmakers’s Master Class Program and is connected to more than a hundred students and their families. I know this letter may come as a bit of a surprise, but in my senior writing class, we have been asked to write a letter to someone in our life that has been a mentor to us; I can’t think of anyone more mentor-like than you. Thank you so much for teaching me how to play piano. With all the stress that comes with senior year, applying to college being the biggest of them all, I find myself sitting down to play Fur Elise or Moonlight Sonata more times than ever. Your passion for the instrument is something I’ve always admired and have to instill in myself. You’re one of the only teachers who has had as much faith in me as you did, and I can’t thank you enough for that. I’ ll never forget the countless hours at the piano we would spend together, going over the same notes until they were perfect. At the time, I really didn’t understand how much this would mean to me now. I know I should’ve said thank you earlier, but I’m glad I’m saying it now. You taught me one of the most valuable skills that I have ever learned and continue to revisit that any chance that I get. In other words, thank you.